On September 5, 2018, in Hoffas v. American Seafoods Company, King County Superior Court Cause No. 17-2-01150-9 SEA, a King County Superior Court judge held that American Seafoods was “. . . negligent for failing to provide [the injured seaman] with a safe place to work on March 2, 2016 because the access to the mid-ship crane control was not reasonably safe, violated the company’s own policies, and violated relevant industry standards, without handholds . . .” on board the F/T AMERICAN DYNASTY. 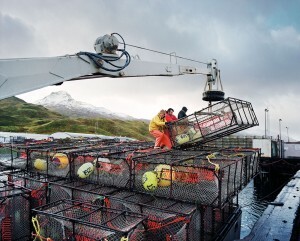 The Ladder Violates American Seafoods’ Own Safety Standards. 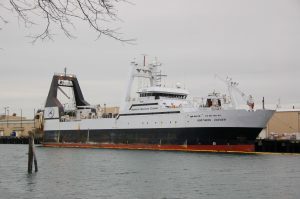 On Saturday, the Seattle-based crab boat F/V DESTINATION went missing in the Bering Sea, approximately two miles off of St. George Island, with six crewmembers aboard. St. George Island is located about 650 miles west of Kodiak Island, and has approximately 100 residents. The DESTINATION was on its way to begin the snow crab season. The vessel’s emergency locator beacon (EPIRB) was activated at 6:11 a.m. on Saturday, and the U.S. Coast Guard and volunteers searched for nearly three days for the vessel and crew, without success. The EPIRB can be activated manually, or activates automatically upon hitting sea water. The Coast Guard received no mayday call from the vessel, which has led to speculation that whatever befell the vessel happened quickly. Volunteer vessels assisted the Coast Guard search, as well as individuals on ATVs along the shoreline of St. George Island. There are high cliffs along the shore of St. George, which provided volunteers a vantage point to look out to sea for evidence of the DESTINATION or debris from the vessel. Search crews reported 30 mph winds, five to eight-foot waves, and air temperature of 20 degrees. The Bering Sea is known for bad weather this time of year. In such temperatures, ice can build up on a boat, reducing stability and buoyancy. Report Your Injury. If you get injured on a factory trawler, you need to report the injury as soon as possible in writing. Some leads or supervisors will try to delay or discourage you from filling out an accident report in order to limit the number of claims filed against the company. You should insist on filling out an accident report immediately. Remind your supervisor that company policy requires you to fill out an accident report following an injury. Fill Out An Accident Report. Fill out an accident/incident report even if you believe the injury will resolve quickly. Some injuries that you initially believe will resolve quickly can turn into larger issues that may lead to surgery. You are not a doctor and don’t know if your injury will become more serious than you believe at first. If you fail to fill out an accident/incident report in a timely manner, the company may try to deny your claim because you did not report it. Maintenance is a daily stipend intended to cover the room-and-board expenses of a maritime worker injured in the service of a vessel, including seafood processing and deckhands on factory trawlers owned by American Seafoods Company. An injured worker is entitled to maintenance payments until the worker reaches maximum medical improvement from the injury. 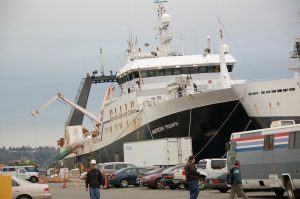 Based on contracts it drafted, American Seafoods has callously taken the position that injured workers are entitled to only $30.00 per day for maintenance payments while they recover from injuries sustained on its vessel, regardless of whether their actual room-and-board expenses exceed $30.00 per day. Other seafood processing companies have allowed for higher living maintenance rates based on an employee’s actual room-and-board expenses. American Seafoods’ position against its own workers has now been rejected in cases brought by our clients in both state and federal courts in Washington. On November 28, 2016, King County Superior Court Judge Sue Parisien ordered American Seafoods to pay maintenance of $78.43 per day to an injured seafood processor represented by Kraft Davies PLLC while he recovered from partial knee replacement surgery due to an injury at work. In ruling against American Seafoods, Judge Parisien ruled: “American Seafoods has not cited any valid basis in fact or law allowing it to limit plaintiff’s maintenance rate to $30 per day, when plaintiff’s actual room and board expenses total $78.43 per day.” Order Granting Plaintiff’s Motion for Attorney’s Fees Incurred in Pursuing Unpaid Maintenance at 3 ll. 7-10. The Court further ruled: “American Seafoods’ ongoing denial of maintenance, which forced plaintiff to hire counsel to pursue benefits which he is plainly owed, is willful.” Id. The court went on to award the injured seafood processor attorneys’ fees for the cost of increasing his maintenance rate from $30.00 per day to $78.43 per day. 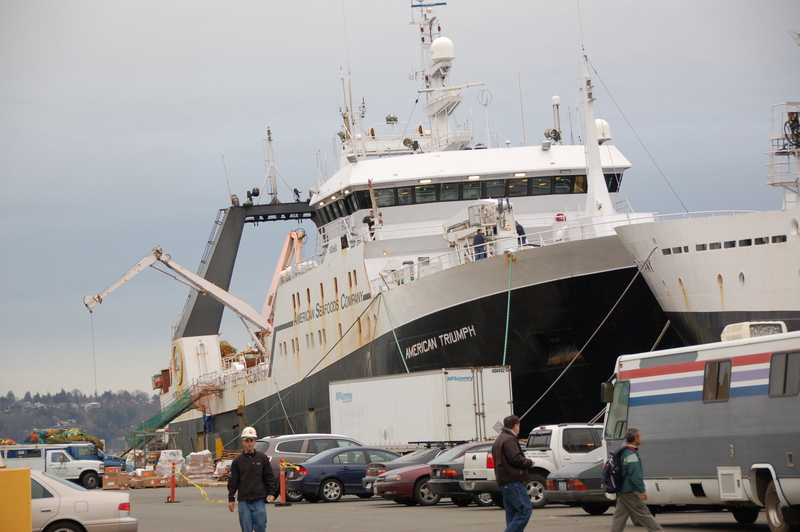 This is the second time this year that a court has rejected American Seafoods’ attempts to limit maintenance payments to $30 per day and provides hope to injured workers who struggle to meet their expenses while off work due to an injury on an American Seafoods vessel. Earlier this year in Sabow v. American Seafoods Company, USDC Western District of Washington Case No. C16-0111-JCC, the Honorable John C. Coughenour ruled that American Seafoods could not limit maintenance payments to $30 per day and must reimburse injured workers based on their reasonable actual room-and-board. American Seafoods has now appealed the issue to the Ninth Circuit Court of Appeals. 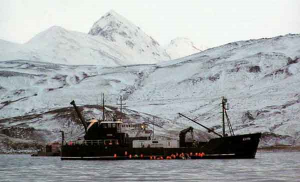 On Friday, December 6, 2016, at 9:38 p.m., the crew of the F/V Exito contacted the U.S. Coast Guard reporting that they were taking on water 14 miles northeast of Dutch Harbor. Five crew members were aboard when the vessel sank and a nearby vessel, the Afognak Strait, was able to rescue three crew members from the water. The U.S. Coast Guard responded with the Coast Guard cutter Alex Haley and a Jayhawk helicopter from Air Station Kodiak. Unfortunately, the other two crew members were not found and remain missing. After searching for the crew for three days, the U.S. Coast Guard called off the search on December 9. Our thoughts and prayers go out to the families of the missing crewmembers of the F/V Exito. 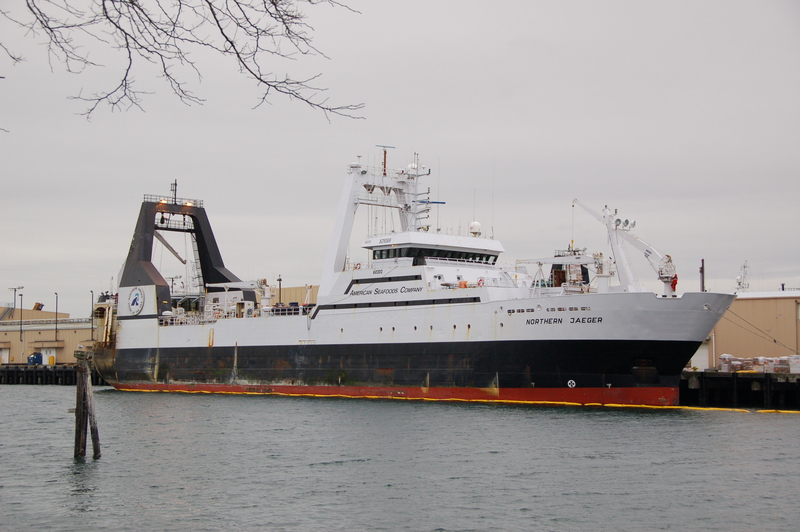 The investigation into the details of the sinking of the F/V Exito remain under investigation by the U.S. Coast Guard. The crew of the F/V Exito is covered under the Jones Act. If you have questions about your right to compensation under the Jones Act, contact our experienced maritime injury and death attorneys for a free consultation. On November 9, the U.S. Coast Guard received a request for a medevac from F/V BLUE NORTH, a Seattle-based fishing company, when a 41-year-old crew member sustained a neck injury while working on the vessel. Neck and spinal injuries can be serious and can lead to permanent disabilities. Due to the nature of the injury, a U.S. Coast Guard flight surgeon recommended an emergency medevac from the vessel to a trauma center. 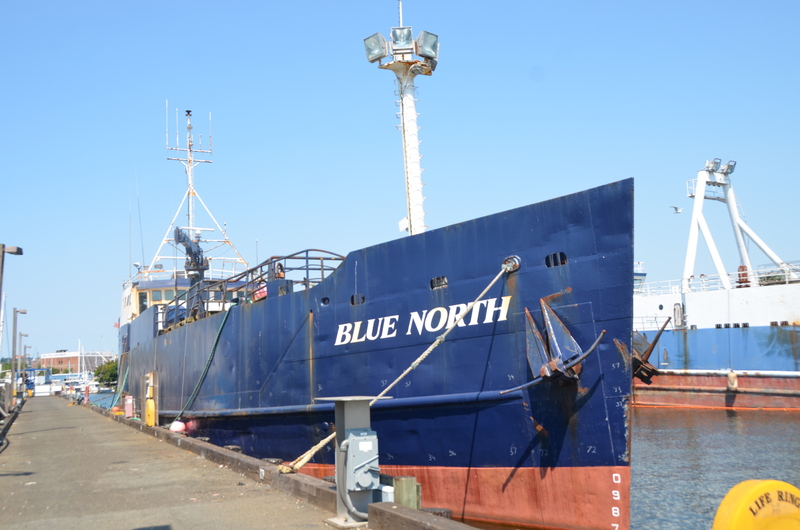 At the time of the incident, the vessel was approximately 285 miles northwest of St. Paul in the Bering Sea and steamed toward shore to meet the helicopter. Taking off from Air Station Kodiak, a Jayhawk helicopter flew to Cold Bay to hoist the injured fisherman off the fishing vessel and the crew member was transported to the hospital for emergency evaluation and treatment. At this point, there are no details about the cause of the crew member’s injury. Fishermen injured on fishing vessels are entitled to coverage under the federal Jones Act, which covers seamen, fishermen, and other maritime workers injured on boats and ships. Under the Jones Act, an injured fisherman may be entitled to lost wages and damages for pain, disability, and loss of enjoyment of life. If you are injured on a fishing vessel, it is important that you notify your employer of the injury and fill out an incident report. In the report, you should describe exactly how you were injured, what unsafe condition contributed to your injury, and provide the names of all witnesses that were present at the scene of your injury. It is important that you obtain prompt medical attention following an injury. You have the right to select your own medical providers and do not have to go to doctors selected by the fishing company. While you receive medical treatment for your injuries, the company has an obligation to pay you a daily stipend called “maintenance” to cover your room-and-board expenses on land. The company is also obligated to pay for all medical expenses related to your injury or illness that are designed to improve your condition. If you have been injured while working on a vessel, you may wonder if you can get your maintenance rate increased from what is set forth in your employment contact. The short answer is “yes” in many circumstances. For example, what if your employer’s contract set forth a maintenance rate of only $30 per day but your actual room-and-board expenses were $70 per day. A seaman or fisherman is entitled to actual reasonable room-and-board expenses while recovering from an injury or illness on land in most situations. Under general maritime law, a shipowner has a duty to provide maintenance and cure to a seaman who “becomes ill or is injured while in the service of the ship.” Vella v. Ford Motor Co., 421 U.S. 1, 3, 95 S. Ct. 1381, 43 L. Ed. 2d 682 (1975); Clausen v. Icicle Seafoods, Inc., 174 Wn.2d 70, 76, 272 P.3d 827 (2012). “Maintenance” is a per diem living allowance for food and lodging comparable to what the seaman is entitled to while at sea; “cure” is payment of medical expenses incurred in treating the seaman’s injury or illness. Calmar S.S. Corp. v. Taylor, 303 U.S. 525, 528, 58 S. Ct. 651, 82 L. Ed. 993 (1938); Clausen, 174 Wn.2d at 76. The shipowner’s duty to pay maintenance and cure “continues until the seaman . . . reaches the point of maximum medical recovery.” 1 Thomas J. Schoenbaum, Admiralty and Maritime Law § 6-28, at 393 (4th ed. 2004) (citing Farrell v. United States, 336 U.S. 511, 522-23, 69 S. Ct. 707, 93 L. Ed. 850 (1949)). “‘Maximum medical cure’ is reached when the seaman recovers from the injury, the condition permanently stabilizes or cannot be improved further.” McMillan v. Tug Jane A. Bouchard, 885 F. Supp. 452, 459 (E.D.N.Y. 1995). . . The 2016 Alaska salmon harvest is seeing a sharp decline from 2015, but one species is helping to save the summer fishing season. According to the Alaska Department of Fish and Game, the projected total catch for salmon during the summer of 2016 is 161 million, down 40 percent from 2015’s harvest of over 268 million salmon. To date in 2016 there has been about 88 million salmon caught. One bright spot for Alaska fishing during the 2016 salmon fishing season has been the sockeye salmon, which is projected to have a total harvest that will rank in Alaska’s all-time top ten for sockeye. While other salmon species have had low catch numbers, thus far the sockeye salmon harvest has surpassed 51 million. Bristol Bay has received a sockeye salmon catch so far of 38 million, greatly exceeding expectations, and will likely result in the largest sockeye harvest there in over 20 years. The large decline in 2016 for Alaska total salmon harvest can be contributed to the significant decline in pink salmon harvest statewide; an estimated 90 million will be caught this year, while 190 million were caught in 2015. Some fishing areas, such as the Kodiak, are seeing the slowest pink salmon harvest since the 1970’s. Other notable Alaska salmon harvests thus far include the following: red salmon, nearly 48 million – down 7 million from last year; silver salmon, 4.4 million – up by 500,000; and chum salmon, 19 million – up by 500,000. 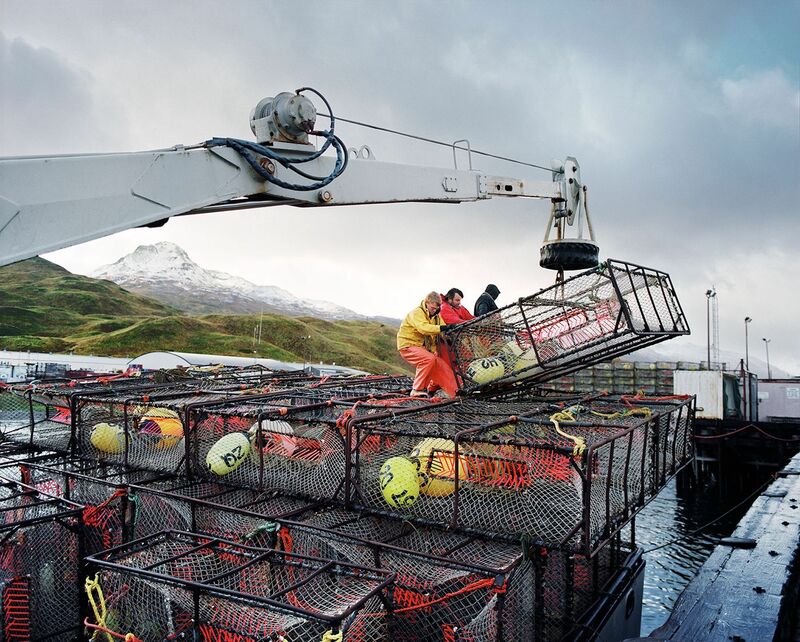 While Alaska salmon fishing is one of Alaska’s most important industries, with an annual average harvest exceeding 150 million fish sold by commercial fishermen, it can also be a very dangerous occupation. The National Institute for Occupational Safety and Health found that during the decade of 2000-2009, salmon fishery experienced the most occupational deaths within commercial fishing in the United States, with 39 fatalities.